On November 3, 2016, the United States Department of Labor’s Occupational Safety and Health Administration has issued citations to Nebraska-based animal feed company, Prinz Grain and Feed, related to a May 18, 2016 employee confined space death at their West Point facility. The citations included (3) willful, (15) serious, and (2) other-than-serious violations. OSHA has proposed penalties of $526,633. 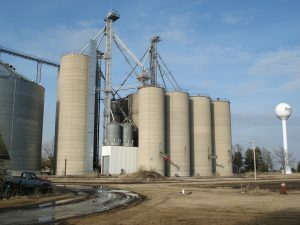 The workplace incident occurred as the 52-year-old employee was working to clear crusted corn from the sides of a grain bin. The wall of corn collapsed upon the employee and engulfed him in hundreds of pounds of grain, inflicting numerous injuries upon him. Although he was recovered by an emergency crew, he died two days later. Prinz had been previously cited by OSHA. In addition to those violations which were assigned for the most recent incident, Prinz has also been placed in OSHA’s Severe Violator Enforcement Program. The program focuses on recalcitrant employers that endanger workers by committing willful, repeat, or failure-to-abate violations. One resource which those safety leaders and employers who manage workspaces which feature confined spaces can utilize is an OSHA-approved on-site training course. Copyright © 2011 - 2019 Osha-Pros USA, LLC. All Rights Reserved.